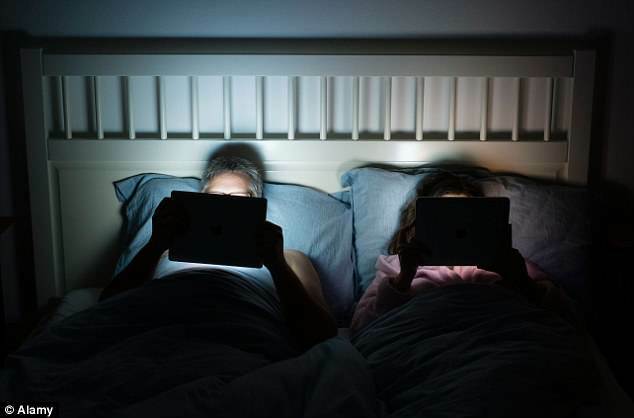 Watching films or TV in bed on a tablet at night can ruin your sleep – and make you more dozy in the morning, a study has found. But reading books or newspapers does not cause the same problems. Over time, the knock-on effects could make people sick, worsen their performance at work and make them less safe driving. 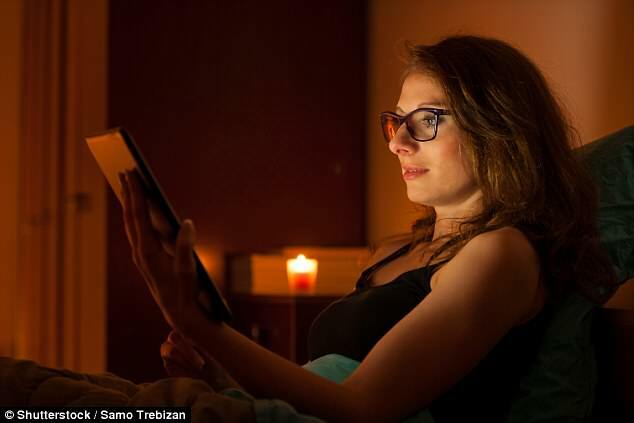 Viewing TV late at night on tablets and phones is increasingly common with ‘catch-up TV’ services such as the BBC iPlayer, as well as Netflix and Amazon Prime. Electronic gadgets such as the Apple iPad keep us up because they give off light from their screens which stops our brains shutting down. The light reduces a hormone called melatonin, which regulates how sleepy we are. In the study by Harvard Medical School and published in the scientific journal Physiological Reports, nine healthy adults – three women and six men – with an average age of 25 took part in an experiment. They had five consecutive evenings of unrestricted use of light-emitting tablet computers and five reading from printed materials such as books or papers. When the volunteers used light-emitting tablets, they decided to go to bed half an hour later on average. Tests showed their melatonin levels were lower and they began to produce melatonin later. They also took longer to go to sleep. Participants rated themselves as less sleepy in the evenings and less alert in the first hour after waking up the following morning. The researchers compared the effects of light exposure from screens to being jet-lagged. When we are exposed to light from a screen – or in the case of jet lag, from exposure to sunlight later than usual as we travel – our daily biological rhythms change. Our body will then produce melatonin at a later time during the week. While the study just looked at tablets, the authors noted that other screens emit light as well, including desktop and laptop computers, mobile phones and televisions. Culture minister Matt Hancock hides his family’s mobile phones in a box in his kitchen – and asks guests to do the same. A lie-in at the weekend really can undo the damage from too many early starts in the week, researchers say. People who get too little sleep are at a significantly greater risk of dying early compared to those who are well-rested. One of the largest studies yet provides evidence that weekend lie-ins may help undo the stress of a hectic week. The authors from Stockholm’s Karolinska Institute tracked the sleep of more than 43,000 people for 13 years from 1997. Those aged 65 or under who slept five hours or less each day were around 25 per cent more likely to die than those who snoozed through six to seven hours.